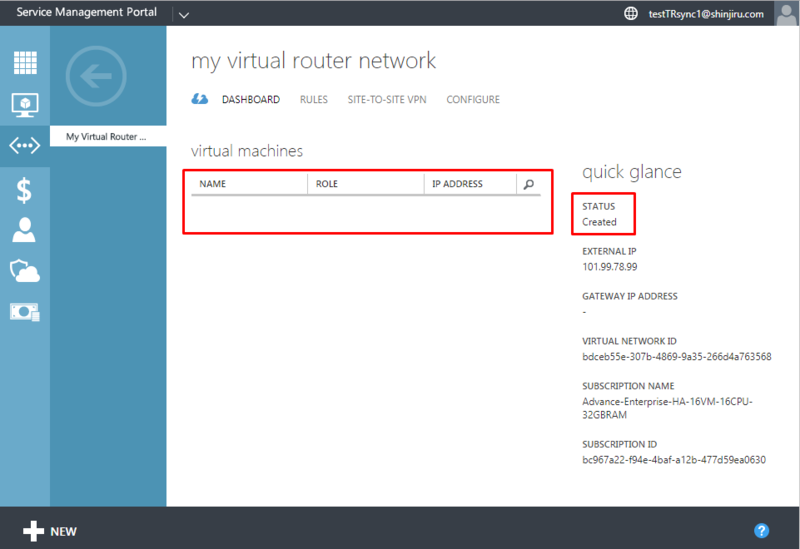 The Virtual Network used is My Virtual Router Network. 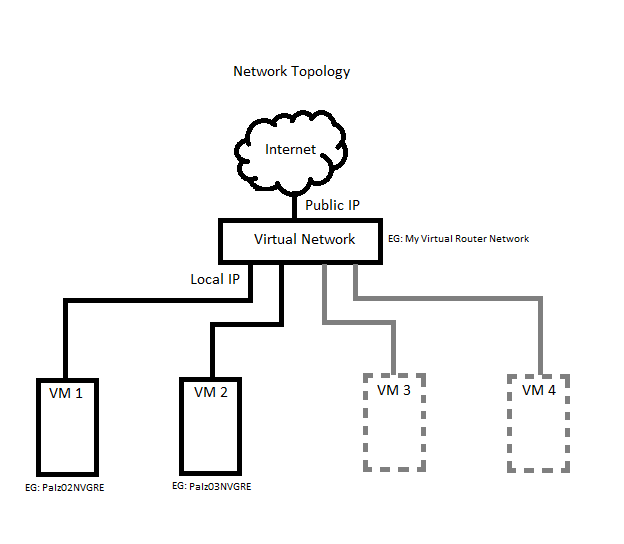 This topology also allows inter VM communication between VMs attached to the same virtual network. Creating a network to connect to the outside world. 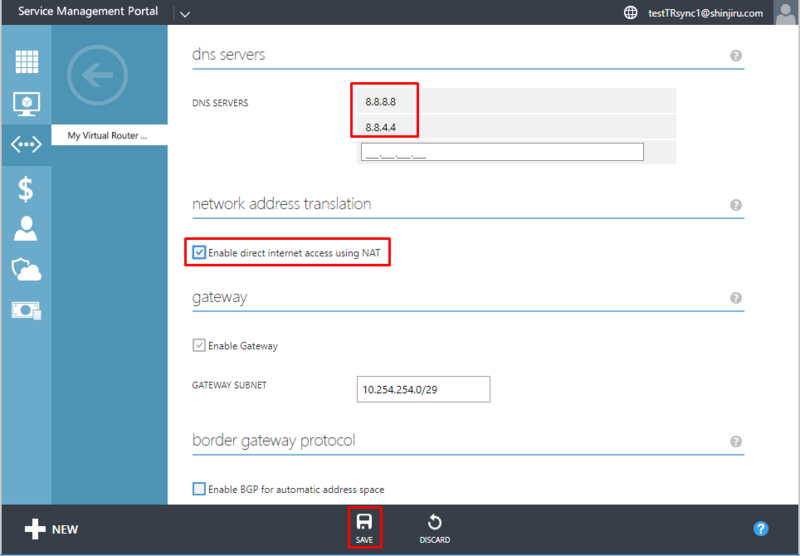 Create new network with NAT. 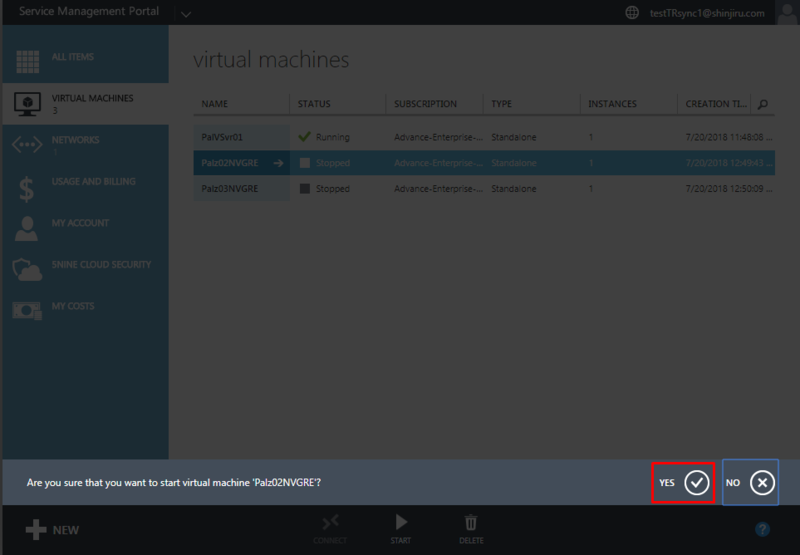 Attach VMs to new network with NAT. 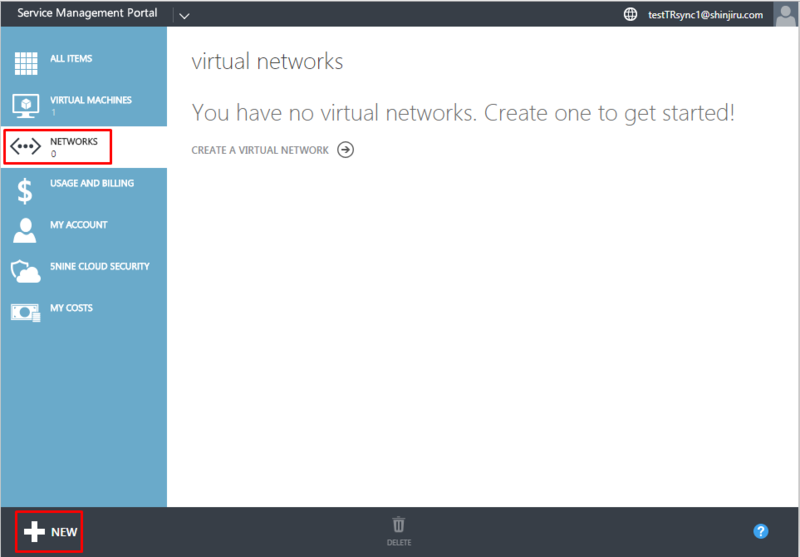 i) Create new network with NAT. 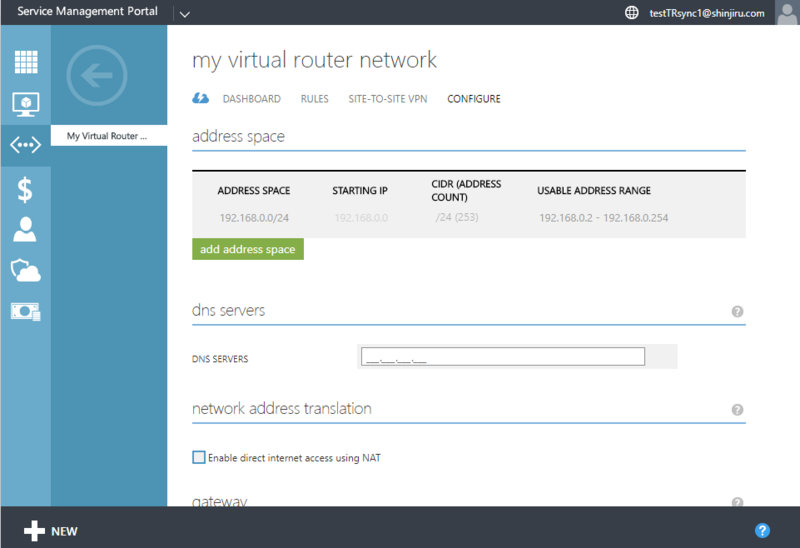 Created My Virtual Router Network. Automatically the Enable Gateway will enable and leave the settings to default. 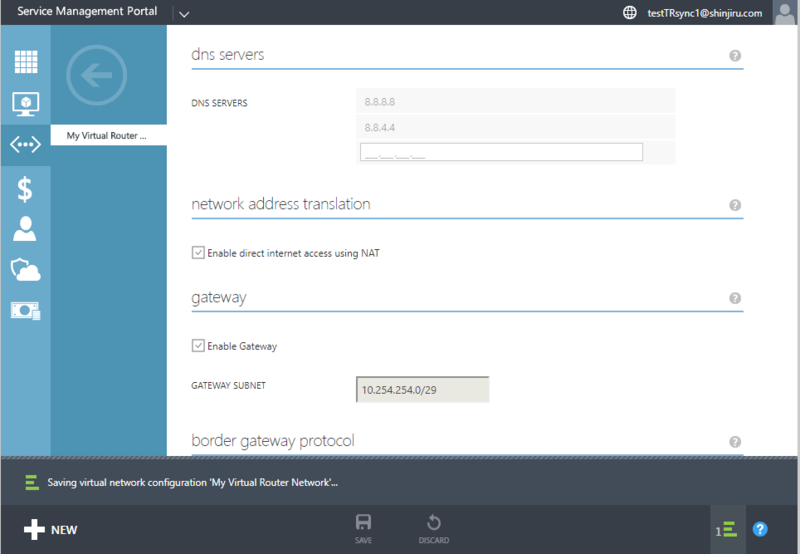 Saving Network configuration of My Virtual Router Network screen. Go to My Virtual Router Network Dashboard and here you can see the public IP and virtual machines that are attached to this network. Which currently is none. ii)Attach VMs to new network with NAT. Here we are going to attach 2 VM to this new Virtual Network that is My Virtual Router Network. We start with Palz02NVGRE 1st. Shutdown the VM Palz02NVGRE in order to attach the network. 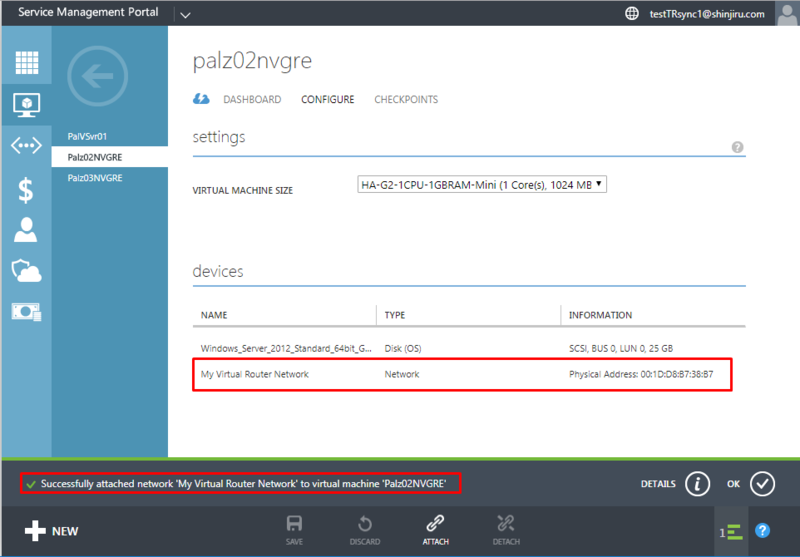 Confirmation screen to Shutdown Palz02NVGRE. Click YES. User can also Connect through Console and Shutdown from Windows which is a better practice. Now we are going to shutdown Palz03NVGRE. This is the Shutdown confirmation window. Click YES. 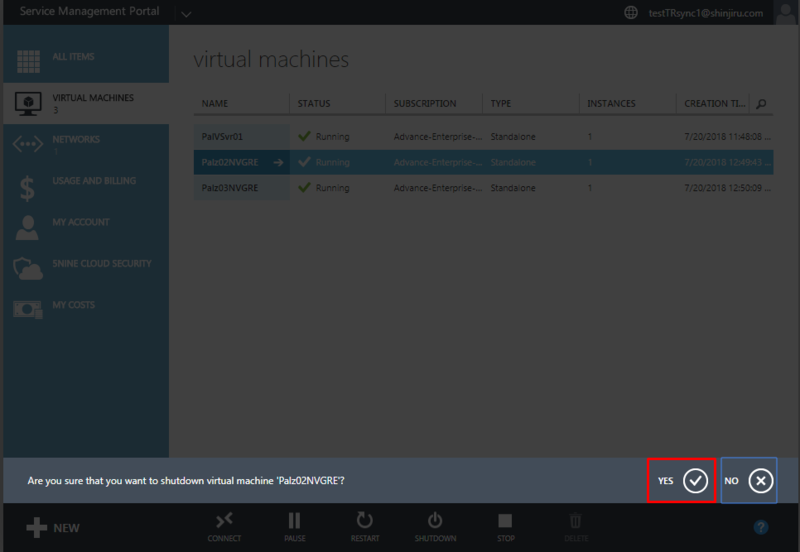 Both VM are already Shutdown, Palz02NVGRE and Palz03NVGRE as their status is Stopped. 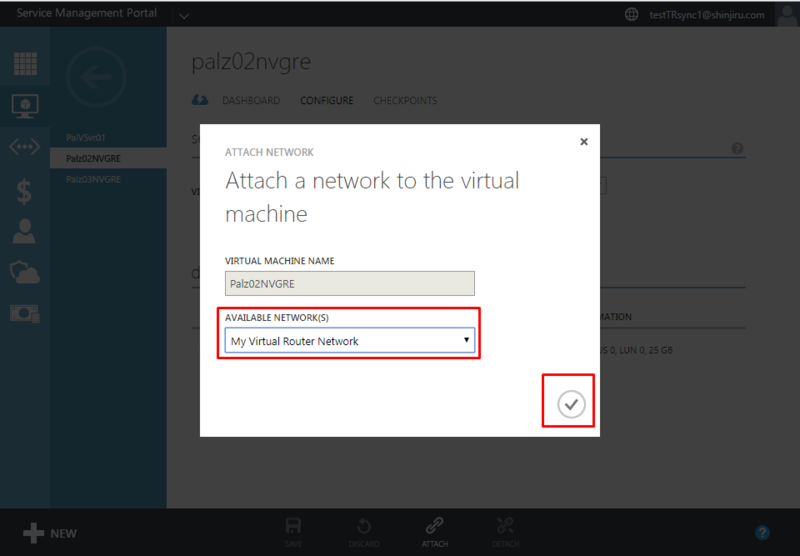 We are going to attach the new Virtual Network to Palz02NVGRE 1st. 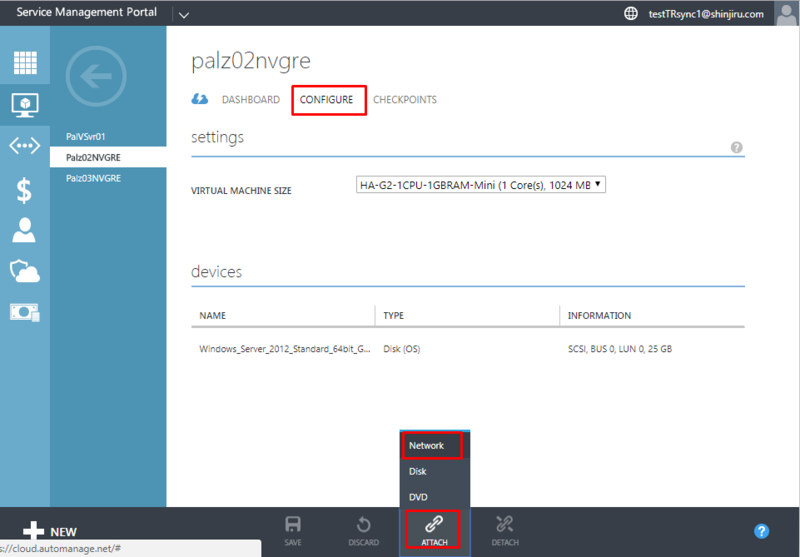 Go to Palz02NVGRE Dashboard then go to Configure. 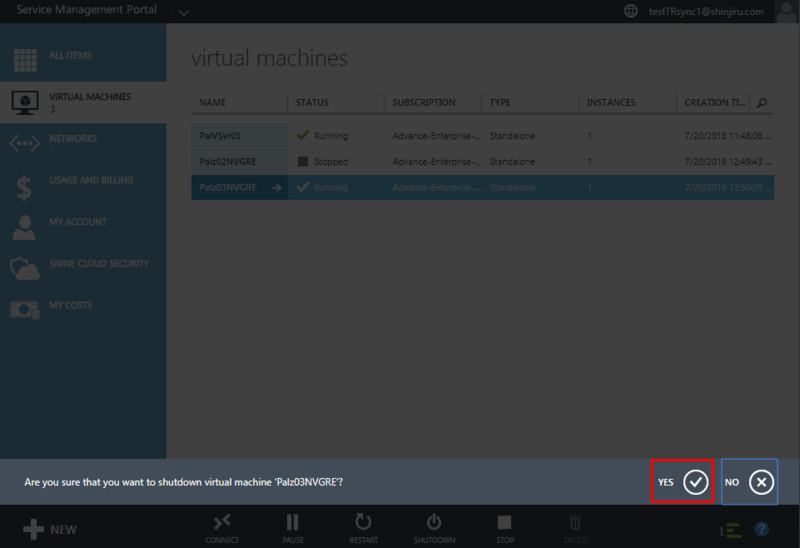 At the bottom of the screen click on the ATTACH button and then click on Network. 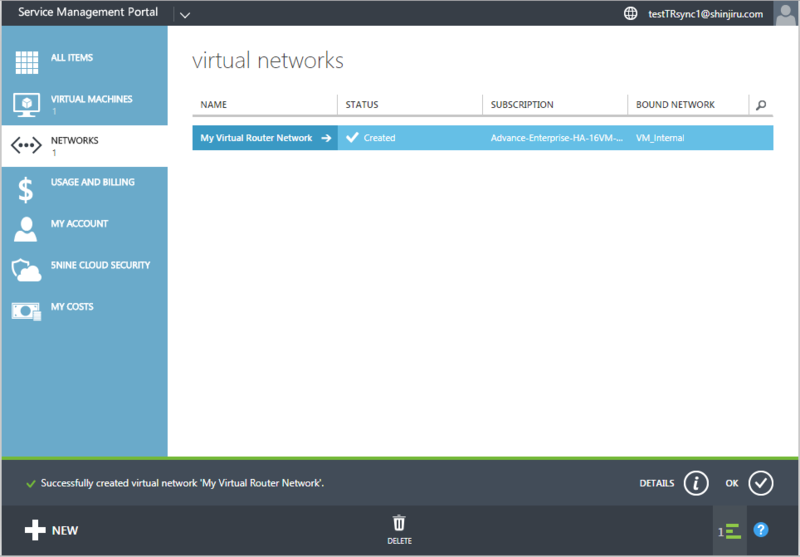 Here user will see available networks. 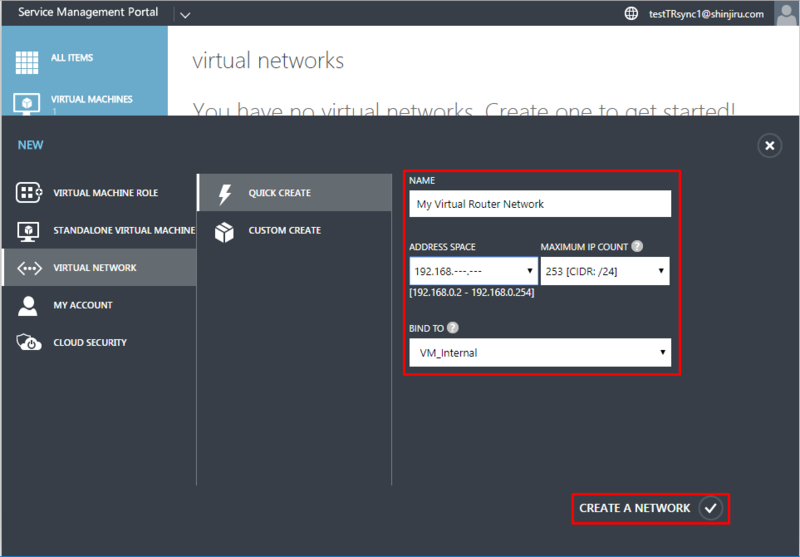 Choose your network accordingly and not to VM_Internal and VM_MYA. 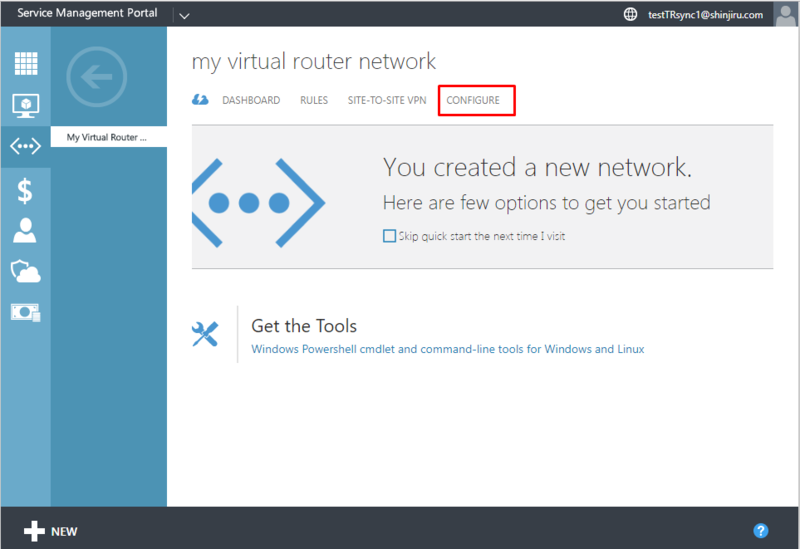 Choose My Virtual Router Network and click on the tick. Network is successfully attached to VM Palz02 NVGRE. 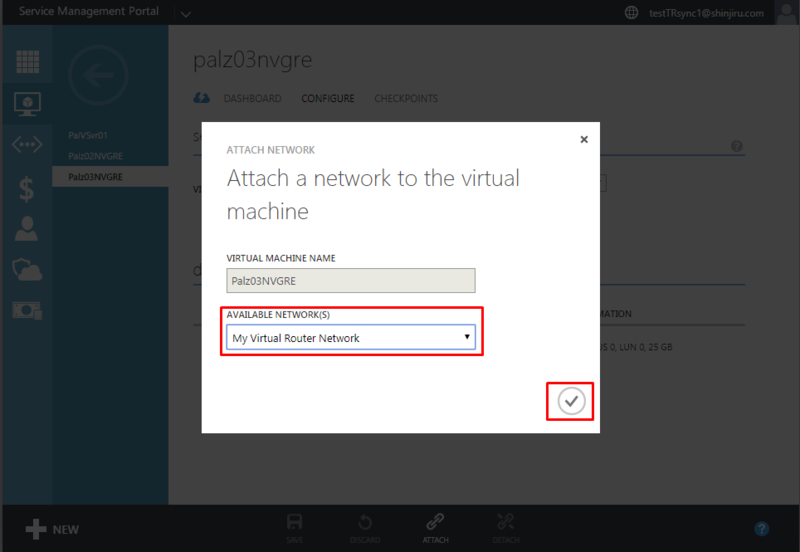 Next we are going to attach the new Virtual Network to Palz03NVGRE. 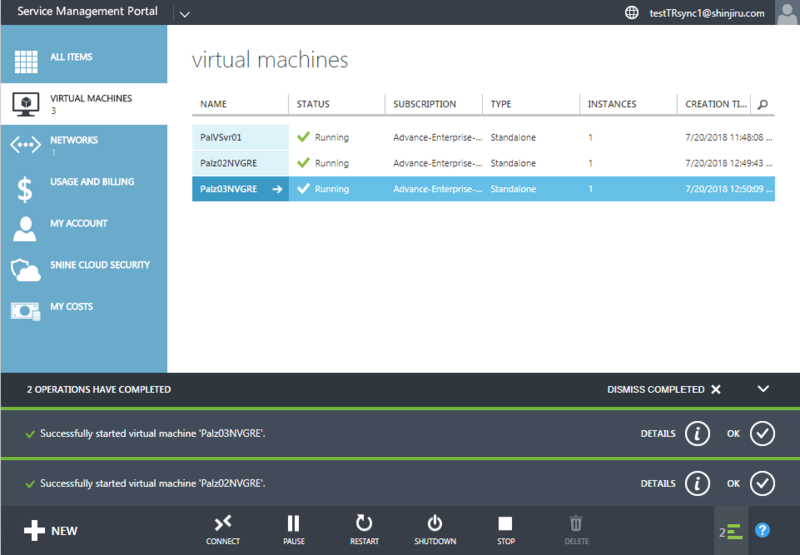 Go to Palz03NVGRE Dashboard then go to Configure. 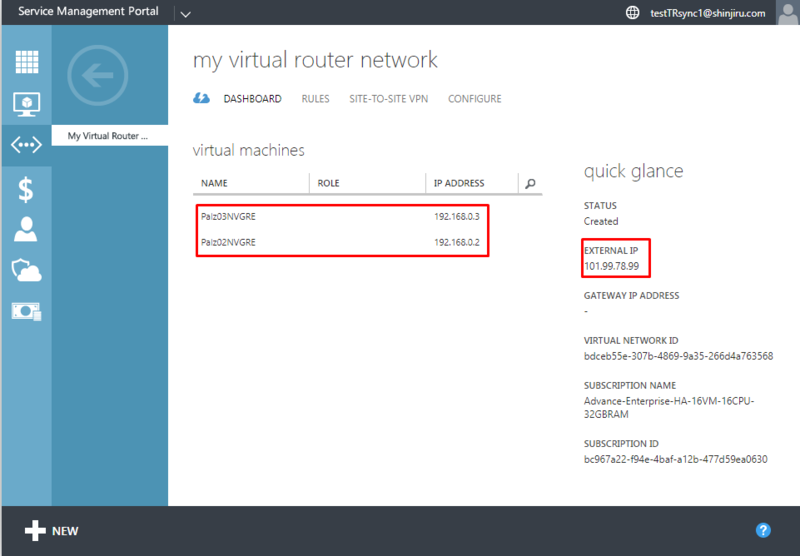 Now both VMs is attached to New Virtual Network: My Virtual Router Network. 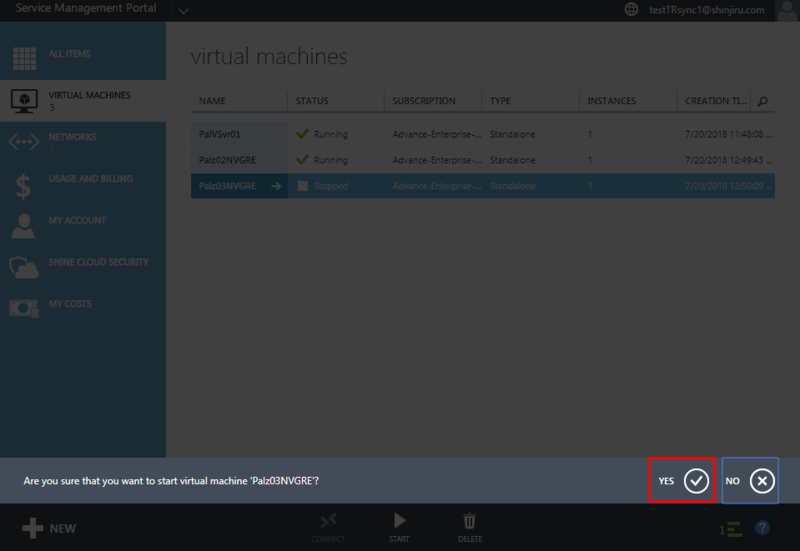 Click Yes in this start VM confirmation screen. 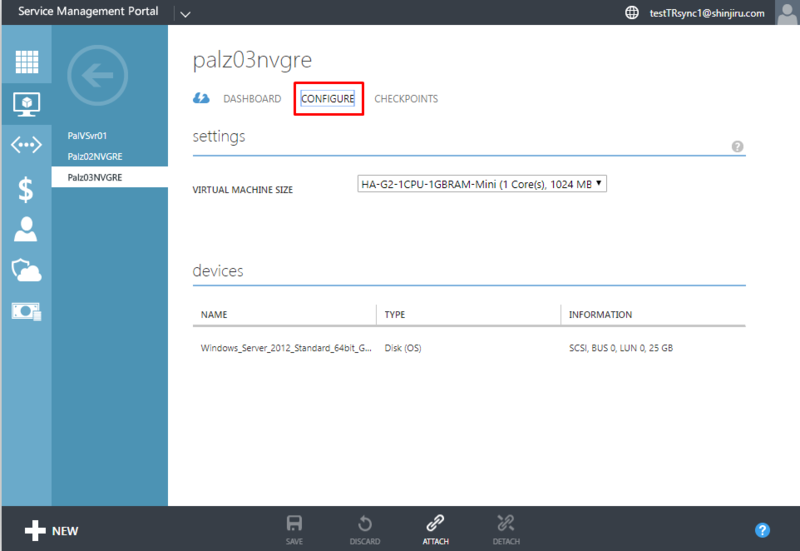 Both VM Palz02NVGRE and Palz03NVGRE have finish booting and are Running now. 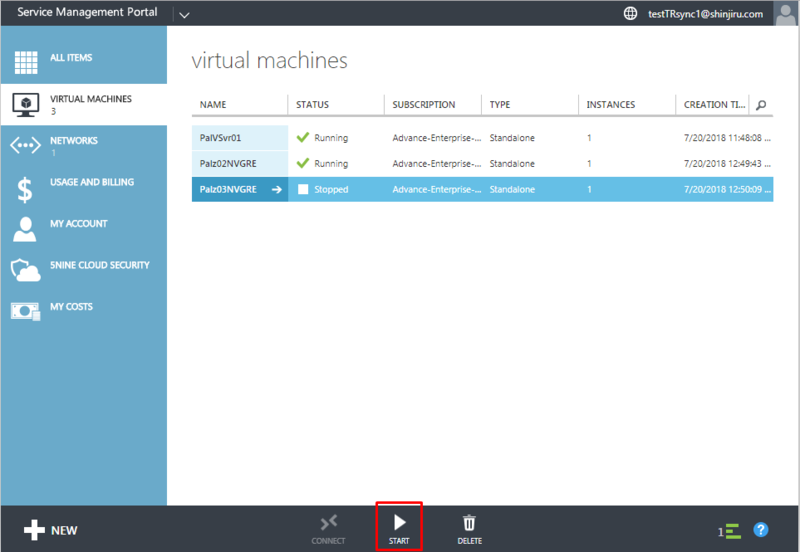 We have successfully connect VMs to this Virtual Network..
To ADD VM just attach to your Virtual Network then that VM is ready with network.